Turning the last week announcement true and bringing the second Intel-inside phone out in the market after Lava Xolo X900, Intel and Lenovo today announced the availability of the Lenovo K800 phone in China, Lenovo’s first smartphone with Intel Inside. The phone will be available on Lenovo’s official website, 360Buy.com, selected Suning & GOME stores and Lenovo retail stores and is priced at approximately RMB 3,299 ($524 USD). 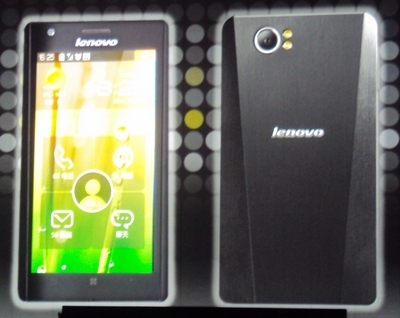 The new Lenovo K800 smartphone has adopted Intel Atom processor, and brings to mobile phone users in China a high performance, low power smart computing experience, and broader choices. The K800 was first announced at CES and is powered by a 1.6GHz Intel Atom processor and also has a 4.5-inch IPS display, plus 1GB of RAM, 16GB of internal storage, and an 8-megapixel rear camera.